Having a custom Linux distro can be the coolest thing ever. Most of you will probably be satisfied with any particular Linux distribution, but I know I'm not the only one out there who wants it to have custom configurations and programs preloaded while leaving the bloatware behind. The good thing? A custom distro doesn't have to be a fantasy. Linux is based on open-source software and user-contributed content, so setting up your own version isn't all that hard. The hardest part is getting started, because it's hard to find the exact details on the internet. That's what this Null Byte is here for! 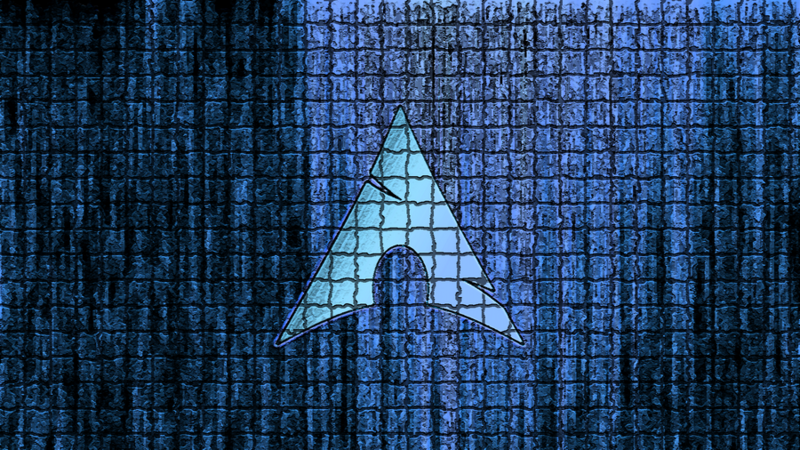 We're going to create a custom, live Arch Linux CD that can have all of your personal configurations and software pre-installed. An installed version of Arch Linux on the computer that you're making this on. 10GB of drive space (just to be safe). A blank CD or DVD (depending on the size of the finished disc). Root privileges on the computer. Commands for the terminal are written in bold. First off, we need to create what is know as a chroot. A chroot is a root Linux file system within another. So by creating one, we can put ourselves inside our OS-in-progress and paint the house from the inside, so to speak. Now we are going to customize the OS from the inside out. We can customize the whole OS from here, but we are going to go over packages, configuration files, and a window manager. I would recommend installing the following packages for the average user. With this list of packages, you will have a few graphical tools as well as a graphical user interface on the disc already. It's incredibly convenient to have all of your custom settings out of the box. You can't do that with Windows! After you have done all the customizing you desire, we can build the ISO for burning. Congratulations! You now have your own custom live media! Bring any questions and interesting conversations over with you to the Null Byte IRC! I am planning to make the switch and get Arch on my laptop this weekend. It is good to know some pachages i might need. You got it buddy, you'll see it posted soon :). thank you for your post. Is it possible to make a squashfs/aufs as RO? I would be appreciated if you are going to post a tutorial how to set up a live USB archlinux with squashfs/unionfs/aufs. This is not paranoia, it's just for the security. Yes, of course :). Squash is RO by default though, isn't it? However in step 3, the first line does not work for me as /usr/share/archiso/configs/baseline is not visible from my chroot. Any clue? Thanks! Any clue at this stage? Thanks! Sounds like the bootloader was maybe installed somewhere it shouldn't have been. Make sure that it is being installed to the MBR of your hard disk, that is, /dev/sda and not /dev/sda1,2.3 etc. thanks alex, however to fix this would be beyond my capacities :-( and since all the scripts are automated and used with default settings, i suppose its an error within the scripts. However, i found that the instructions in https://kroweer.wordpress.com/2011/09/07/creating-a-custom-arch-linux-live-usb/ work fine and produce a bootable ISO (although using the same approach than yours with only minor differences). Total, i'm confused because available documentation and knowledge about these very important tools is scarce or outdated... anyway thanks for your time and efforts! is there any way i can get a graphical installer for my live cd. like i want it to be instaled on my machene. live is fun for five min and for demo stuff but if i could get a live insaller it would realy help me out :) thanks in advance. They don't make one, but maybe you should try ArchBang. and burned it on cd. On restarting with CD i am getting boot screen and rootarchiso command prompt etc. i can even load XFCE4. Now how do i install this custom made .iso with all the software to another computer? Because when i use "Beginners guide", i reach "pacstrap /mnt base" and it starts downloading base and all. so it defeats my purpose of having fully customised .iso at hand to install. can you help pls? Hi thanks for your detailed tutorial. make: Nothing to be done for `archiso/archiso'. Both commands are executed as root. Any Idea on how to solve this ? I have a error at writing this command: su && pacman -S devtools git make --needed , when I entering password for me writing a Unable to determine the identity in Ubuntu 13.04 please help! Sorry for bad english. Lol, I was looking for this on the internet for personal need and thought about publishing an article about it. Then legendary Null Byte pops out as first result, didn't even notice it was Null Byte. I was like "I remember I was looking for Arch Linux, not controling new posts on Null Byte..."
Can you please give a kind of exemple and detailed steps to follow ? This is strange to me because you've said leave 10GB of space and I have ~30GB on my root partition and ~43GB on my home partition. I have just under 1GB for my boot partition but /tmp directory isn't stored under the boot partition, is it? where 4G is the size , put whatever you want to make it!